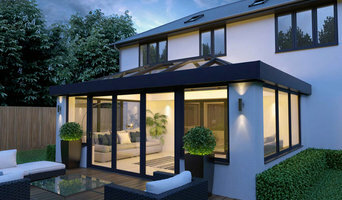 Sky Garden are the UK's leading independent supplier and installer of green roof systems. 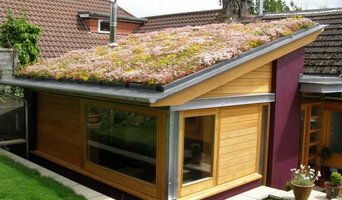 We provide our green roofs to domestic and commercial customers, no matter how large or small the roof may be. Issues with your roof can occur at any time of the year so it important to know of a business who can help you in an emergency. Fortunately, Abbey Roofing can provide many different services to help you get your roof back to best with their team of contractors sure to provide a service which is above and beyond expectation. Searching for the most famous Roof repair in Tewkesbury,then contact TDH Roofing Services.At TDH Roofing services,we provide a specialist service that can be trusted by the customers.The services offered by us are roofer,flat roofing,roofing services,guttering,roof repair.We offer economical and durable roofing solution that are available in a wide range of colours.For more information on our services or for a free no obligation quote get in touch today using the contact details provided by us and experience the best services here.We offer Friendly, Honest,reliable and professional services with 25 year warranty. Setting the standard throughout the roofing services sector. Qualified, Reliable & Knowledgeable roofer in Gloucester delivering all of your roofing needs. Premier Building Systems Limited simply make roofs to last. Our roofs are strong and secure even in the most harsh weather conditions. There is roofing and then there are highly engineered roofs set up by Premier Building Systems Limited. All our roofs are fitted in accordance with BS5534 (pitch roofs) and BS5250 (flat roofs). 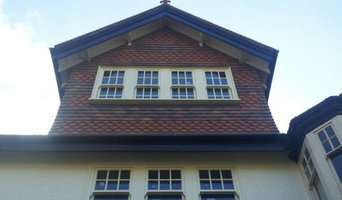 Woodstock Roofing have been an established company since 1963. A family run company, we pride ourselves on years of experience and guarantee a service of the highest quality at value for money with products to match. Woodstock Roofing know how to improve your home to ensure it can withstand the wear and tear of harsh weather conditions. We have teams of skilled personnel installing a variety of products from all the major manufacturers in the three main areas of roofing. Hempsted Roofing & Building Ltd are local family owned building Contractors and we have highly trained roofers looking after domestic and commercial customers throughout Gloucestershire and the surrounding counties, including Gloucester, Cheltenham, Cirencester and Stroud. We have an excellent reputation within Gloucestershire for delivering excellent roofing solutions with top Quality Roofers and repairs at competitive prices. We also offer Emergency Roof Repairs, so if you have a roofing issue that needs emergency attention then please contact us and we will aim to resolve your issue as quickly and efficiently as possible. Why should I hire Teddington, Gloucestershire roofers to handle my roofing and guttering? There are a wide variety of materials available and your Teddington, Gloucestershire roofers can help you decide which option is best. You might look at clay, slate or concrete tiles and your choice will depend on cost, the style of your home and the local roofing style. In the North West of the UK you will see a lot more slate tiling, whilst in the South East there is an abundance of clay roofs. If you are in a conservation area you may find that your choices are more limited and you may need to look for reclaimed tiles; local Teddington, Gloucestershire roofing contractors will be knowledgeable in this area, so ask for their advice, too. How do I find good Teddington, Gloucestershire guttering specialists and roofers? Search for Teddington, Gloucestershire roofers and gutter cleaning specialists in the Find a Pro section of Houzz. Read their profiles, try to match their core skills with the problem in hand – some specialise in flat roof repair using roofing felt, others only work with roof tiles – and then see what previous customers have to say about their quality of service. Ask for personal recommendations from friends and family. Ideally your shortlisted roofing and gutter specialists or experts are members of the National Federation of Roofing Contractors (NFRC), the Guild of Master Craftsmen or the Federation of Master Builders (FMB). Each trade organisation demands a high level of expertise and imposes a code of conduct on its members. TrustMark is a government-endorsed scheme that independently assesses tradespeople and allows you to lodge a complaint if necessary – look out for that. Call them round for a consultation and make sure you request a written quote. Cheapest is not necessarily the best; more importantly, who can you work with? Find Teddington, Gloucestershire roofers and gutter cleaning professionals on Houzz. 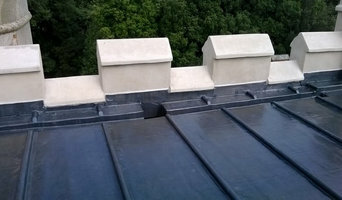 Narrow your search in the Professionals section of the website to Teddington, Gloucestershire roofer or gutter specialist. 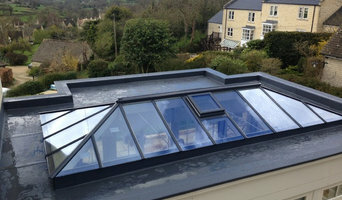 You can also look through Teddington, Gloucestershire photos by style to find a roofing project you like, then contact the specialists or roofing contractors who designed it.